Mandeville, LA, is a great location, and the real estate for sale in Mandeville is stunning. You’ll find homes to fit any size of family and budget, and with Lake Pontchartrain right nearby, you’ll never run out of fun outdoor activities to enjoy. Everything from shopping to recreation is just a small drive away when you live in Mandeville. The communities and schools are excellent and family friendly, and there are even local historical sites to learn about and explore. Founded in 1834, Mandeville, LA, is now an active and thriving city. Life in Mandeville, LA, is like a scene from a painting. Lush trees fill the landscape, and arts and culture are major community focuses. If you enjoy a serene life surrounded by water and wildlife, you’ll love the real estate in the area. 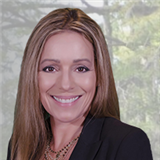 Carol Upton-Sieverding is an expert at finding her clients the ideal real estate for sale in Mandeville, LA, that fits their needs. If Mandeville sounds like a location you can love, browse through a few of our listings below or call us at (985) 630-5748. We are happy to discuss all available real estate opportunities so that you and your family can find your perfect home. You could be enjoying the Lake Pontchartrain waterfront or Mandeville Dew Drop Jazz Hall in no time at all. Choose the Mandeville real estate expert, Carol Upton-Sieverding, for all of your local home buying inquiries. We can find you the best property at the best price to fit your needs. Each ERA-powered office is independently owned and operated.